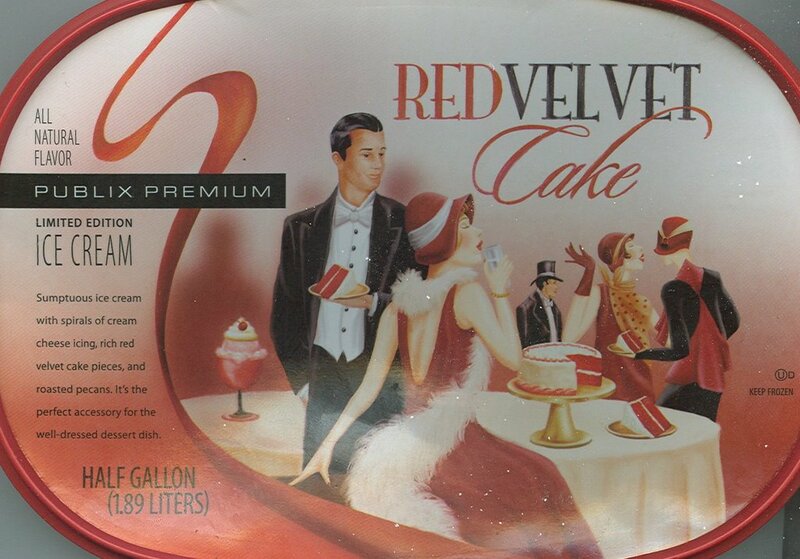 Let me offer my congratulations on your newest Publix Premium ice cream flavor — Red Velvet Cake. It is delicious. I’ve always believed that Red Velvet Cake was our most underrated desert. The rich, chocolate flavor. The red food color. The cream cheese icing. These elements make for one astoundingly good cake. Why, I’ve often wondered, are all cakes not made with cream cheese icing? One quibble, however. For some reason, you chose to add roasted pecans to the ice cream. Your reasoning escapes me. No roasted pecans adorn the cake, so why include them in the ice cream? I think the product would improve with their removal.